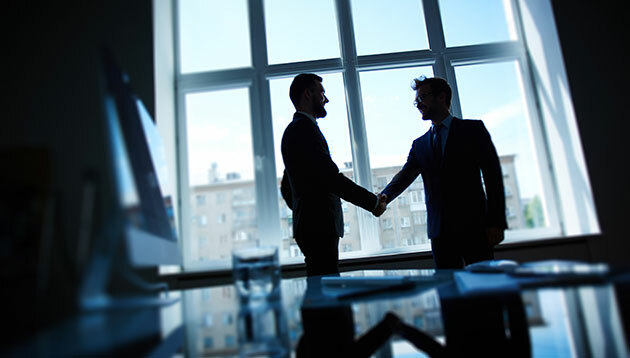 Mergers and acquisitions in the marketing industry in Asia are not uncommon. According to latest data from R3, M&A activity in Asia Pacific has risen by 15% this year, with total deal value in Asia Pacific increasing from US$791 million to US$908 million in the first half of the year (H1 18). Of course, when two cultures collide, it isn’t always the smoothest of transitions. One such acquisition, that unfortunately took a turn for the worse, is the one that occurred in 2010 between WPP, Grey and Yolk. The legal battle, as of today, has reached a confidential settlement where according to a WPP spokesperson, “the parties are comfortable that the settlement satisfies both parties’ concerns which led to the litigation”. In Asia Pacific, agency holding groups are leading the pack when it comes to acquisitions, translating to a value of US$273 million. This is in sharp contrast to the global analysis where unconventional and MarTech firms led the way. Speaking to Marketing about the latest legal battle that unfolded in the Singapore market, Greg Paull, principal founder of consultancy R3 said today, independent agencies have more options than ever. “The M&A landscape has changed more in the last five years than the previous fifty with the emergence of consulting firms, private equity and asynchronous buyers, ” he said. But nonetheless, it is always a challenge for strong, opinionated entrepreneurs to find themselves within a public company with detailed reporting lines. One major area of friction he highlighted is around financial reporting. Agency holding groups are listed entities with rigorous reporting demands and local agencies are often not ready for this. Coming back to a global structure, he explained, is never easy. Commenting on retaining culture, Paull said it can certainly be done but it requires strong leadership from the holding group and the agency to make it happen. “R/GA is probably a great example of success,” he explained. At R/GA’s request, the agency told IPG it will grow globally organically and not through M&A. This helped it maintain its culture within the holding group structure. As such, these are things that need to be well aligned in advance. According to Robert Gaxiola, founding partner of Mangham Gaxiola, now owned by the Dentsu Aegis Network, culture, roles, and accountability are the first few challenges that come to mind when thinking of acquisition. Gaxiola exited the network early this year. When the acquisition first happened in 2015, the network said that it was to help expand the mcgarrybowen brand into Singapore. “Culture, roles, and accountability are at risk of being challenged, questioned or jettisoned at some point in the new relationship,” he said. As such, his advice is to run some war game scenarios and cover everything you can think of beforehand. Having some hypothetical problems and solutions in place before you all start sharing the pantry microwave could make all the difference in the world, he explained. Nonetheless, Gaxiola added that while most agency cultures evolve, every agency has a few people who are the real culture drivers. These folks must be identified and celebrated because they are also the agency’s conscience. “I’d say leaders who routinely keep an open channel with these people have a good chance of keeping their culture evolving in the right direction. These people are magic and we all know who they are. These are the unicorns on the ground that the shareholding partners need to listen to, respect and retain at all costs,” he said. Moreover, regular, honest and open communication is the golden key. “In almost every case, you must remember they staked you for solid reasons and yours is the voice that attracted them to your agency in the first place,” Gaxiola added. Another former founder who spoke to Marketing under anonymity said that the biggest irony about acquisitions is that the culture and ways of working which made the independent agencies successful, and a target for acquisition, are usually the first to be changed, as the agency becomes subsumed under a network. Selling is hard enough even without the typical challenges that can follow – let alone some of the extraordinary ones, like ending up in court. He added that independent agency leads need to have a strong culture to begin with, and do everything within their power to protect, nurture and retain it. But a lot of times, the reason behind the sell is equally important. “If you’re selling to the highest bidder to ‘get out’ then you’re probably not that concerned with the continuation of your culture. Furthermore, if you want to ‘get out’ then your culture probably isn’t that great anyway,” he said. Wilson said, in his experience, one of the easiest ways to be heard is to generate results and the easiest way to generate results after an acquisition is to integrate the businesses, by cross-pollinating between clients and teams and finding the low hanging fruit. “Once those deals have been done and the teams have tasted success together, start celebrating this. Many people forget this part but it is important. Rinse and repeat for continued success,” he added. “Simon Sinek puts it eloquently – find your why, so in this case, why are you selling, and then align that with your who, who you are selling to. The two are fundamentally linked,” Wilson said. Among the list of marketing efforts to promote the new drama series also include competitions, behind the scenes footage and talen..